Bryan will join the main ABC panel on the first night, while Bones will be a "roving reporter" from the Nashville streets over the first two nights. It was pretty big news back in November when it was announced that ABC would broadcast all three days of the 2019 NFL Draft in addition to ESPN. 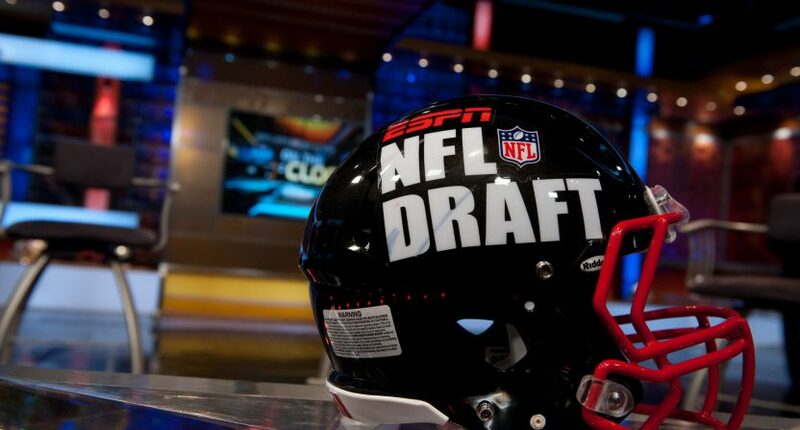 The move seemed to be, in part, a way to repair the relationship between the NFL and ESPN/Disney, who were reportedly feeling a bit icy towards one another last year when Fox simulcast two days of the draft. Now we know who some of those personalities will be. ABC announced Tuesday that “American Idol” judge Luke Bryan and show mentor Bobby Bones will join the telecast live from Nashville, Tennessee on the first night of the draft, Thursday, April 25. Bones will return the next night as well. As for what they’ll be doing, Bryan will join the GameDay hosts on Thursday while Bones will act as a “roving reporter” from the streets of Nashville on both nights. The plan for the overall ABC broadcast will see Roberts joined on a separate set by co-host Rece Davis and the rest of the College GameDay crew. Analysts Kirk Herbstreit, Lee Corso, Desmond Howard, David Pollack, and reporter Tom Rinaldi will all appear on both nights of the broadcast. And Kansas City Chiefs star quarterback Patrick Mahomes was also previously announced as a special guest with Roberts. In order to make their coverage of the NFL Draft a big deal, ABC is definitely pulling out all the stops. Or at least, all of the best corporate synergistic stops they’ve got.